Regardless of any regular/mobile phone subscription, there is one thing you cannot avoid: paying tons of money for international calls, especially if you are the one placing them. By switching to a VoIP solution, you can say goodbye to horrifying phone bills and start placing/receiving international calls for free or for cost-friendly prices. Next to big savings, there are also numerous other advantages to making international calls through VoIP rather than over a traditional landline. In this guide we’ll reflect on the rates applied to international calls and which countries you can call using VoIP. You can learn more about how you can place/receive calls from a mobile device and how you can use the cellular networks to their full extent for this purpose. And last but not least, you can read about the international solutions of three recommended VoIP providers. 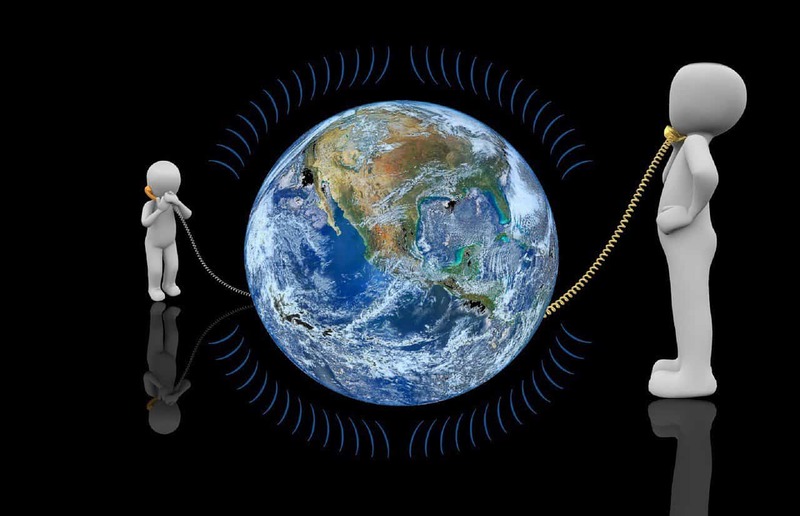 Probably the biggest advantage of VoIP is that it is completely internet-based, which makes placing and receiving international calls much easier. Furthermore, you have plenty of options to enjoy the benefits of this type of calls. Thanks to the above mentioned internet-based solution, you don’t even have to call an international number: you can add the caller to your system (as an extension) and you can call each other for free. True, this is not an optimal solution for neither residential nor business users, especially if the caller doesn’t have a VoIP phone system or he/she doesn’t want to be “attached” to you. This is where international numbers come in handy. Again, as a cloud phone system doesn’t have to be physically located in a country, you can simply purchase an international virtual number in almost any country and you can receive calls on that number without forcing your caller to pay a fortune. However, the above solution still requires you to pay for calls. To avoid that, you can go for the simplest solution: opt for an international VoIP plan. This way you can place calls to international numbers at slightly more expensive rates than calls to local numbers. Like we mentioned before, the easiest way of reducing international call rates is by subscribing to a VoIP service that includes unlimited calls to international destinations. These plans have significantly pricier subscription fees than national VoIP plans, this is the only way you can place your calls for free from a VoIP system – unless you are using a VPN. (And remember: virtual international numbers are for inbound calls only.) Our advice: if you often call abroad numbers, choose an unlimited international plan. However, there is one crucial thing: unlike regular providers, VoIP services always provide unlimited calls to Canada, Puerto Rico and other U.S. territories at local rates. Since the mobile apps developed for cloud phone systems are virtual extensions thereof, placing and receiving international calls is extremely simple. Since all your contacts are stored in the cloud, including the international numbers, you can easily dial them even using your cloud phone system ID. As for incoming calls, you just need to sign into your account and the call will be directed to your mobile device thanks to the follow-me find-me feature. The only thing you have to keep in mind is that your calls are still internet-based, no matter where you are at the moment. This means that you need a reliable mobile internet connection to avoid quality drops during calls, which is not a problem is bigger cities thanks to their outstanding cellular network coverage. Since your calls go through the internet, you either have to choose a mobile internet subscription that can handle increased traffic or you have to find free internet sources. We, of course, are talking about connecting to Wi-Fi networks, especially public ones. But be careful: public Wi-Fi networks are ideal for reducing mobile internet costs, but they have the potential risk of allowing hackers into your system. You may want to consider using a VPN to encrypt and protect your public Wi-Fi connection prior to starting your VoIP calls. 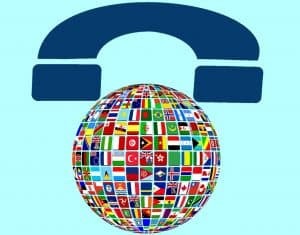 Unlike business texting or online faxing, getting an international number and/or placing international calls is either included in a VoIP subscription or available as an extra feature. This means you can choose from many VoIP service providers, including our selection: Phone.com, RingCentral and Vonage. 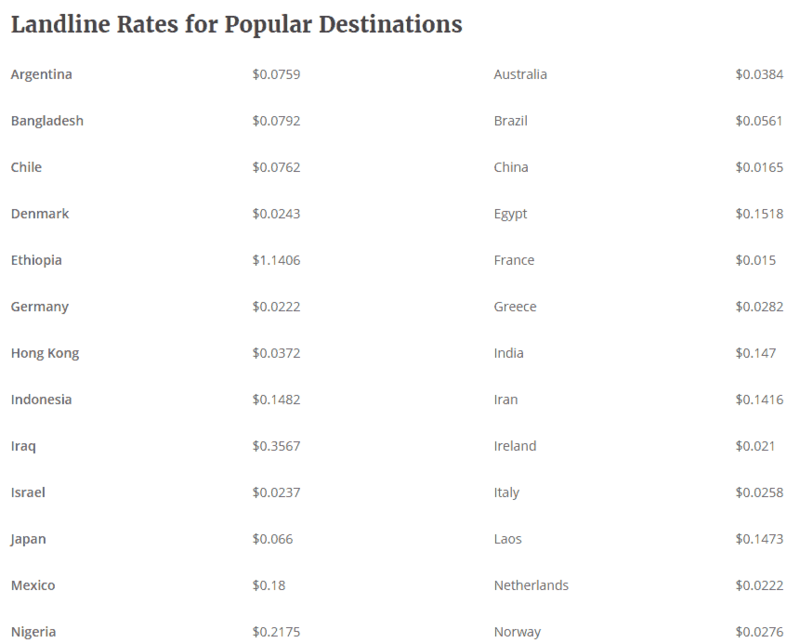 No matter which plan you choose, Phone.com provides you outbound international calling for relatively low rates to all countries of the world with a few exceptions. 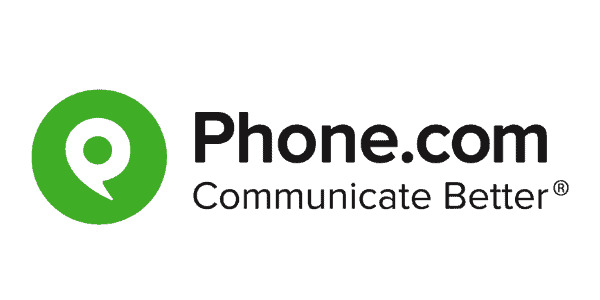 In fact, if you become a Phone.com subscriber, placing calls to landline numbers of Canada, France, Germany, Israel, Italy, the Netherlands, Puerto Rico, and the United Kingdom is included in your subscription, meaning you only have to pay U.S. local rates for calls to the above countries. Furthermore, the same rules apply to the relatively rare iNUM global numbers (starting with +883) too. As for virtual international numbers, you can have one for as low as $4.99 per month, but only in designated countries. International numbers in more “exotic” countries (called Premium) are $12.99 per month. If you want to place international calls from a regular RingCentral cloud phone system to any country in the world (using a regular or international ID) you have no other choice but to contact the company’s staff. If you have offices around the world, the RingCentral Global Office might be the best solution for you. Starting from as low as $24.99 per month per user and available for offices located in Canada, the UK and 26 (mostly European) countries, you can hook up the VoIP phone system of your abroad office to the same communication system you are using, allowing your foreign co-workers to enjoy all the benefits of your RingCentral subscription. 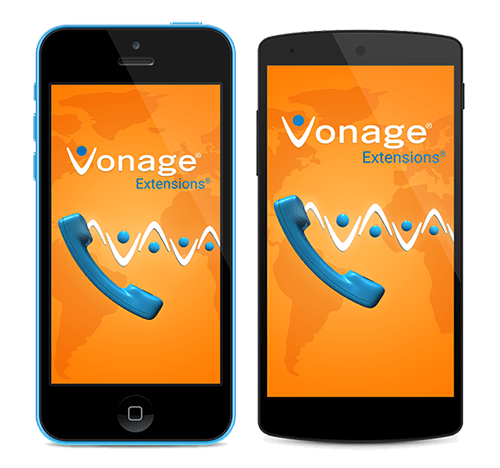 With Vonage you don’t have to worry about international call rates. You only have to choose Vonage World or Vonage 3000 to Globe Philippines, and you can place unlimited calls to the landline numbers of 60 countries or the mobile numbers of 10 countries. No matter which plan you choose out of the above two, you get all features like the bandwidth saver, the caller ID blocker and the 3-way calling included in every Vonage subscription for as low as $9.99 per month for the first 6 months of use.